Live-Action Comedy Series | Bella and the Bulldogs! Nickelodeon will be having a new live-action comedy series “Bella and the Bulldogs”! A great addition to the Nickelodeon family. 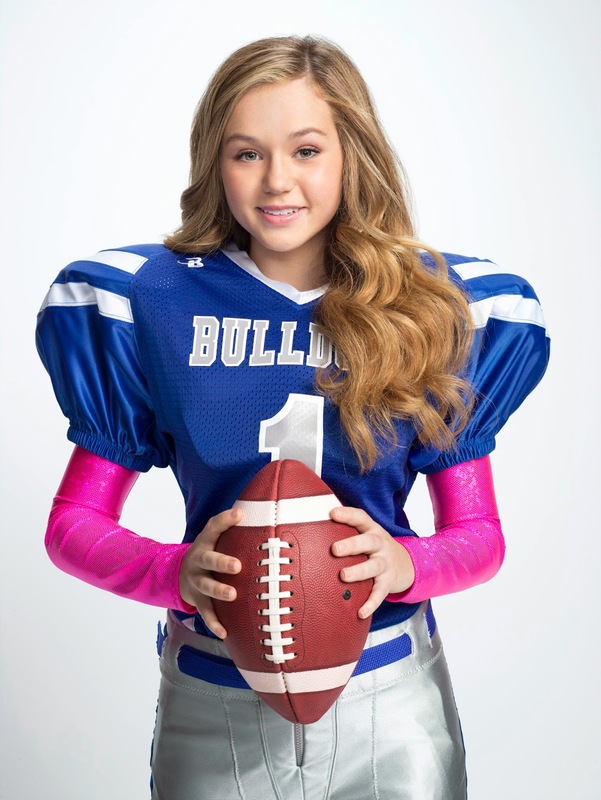 In this new comedy ripped right out of this year’s headlines of girls playing traditionally “boy” sports, Bella Dawson (played by newcomer Brec Bassinger), a confident, caring and talented teenager, suddenly finds herself fulfilling a lifelong dream but also having to navigate the world of her teammates Troy (Coy Stewart), Sawyer (Jackie Radinsky) and Newt (Buddy Handleson), without losing her two best friends, Pepper (Haley Tju) and Sophie (Lilimar) from the cheer squad. dah tukar njoi,so tak dapat nak ajak awfiyah tengok ni..
Anak bujang I tengah melayang 'The Haunting Gathaways' macam tulah bunyinya. Yang ini rasanya si Abang tak tahu kot. Baru on air yerk. Nantilah kalau ada masa, boleh berjemaah menonton. Kita orang satu famili suka 'mengarah' drama kat TV yang dah siap diarah!